February 7, 2011 / FOIMan / Comments Off on What is an FOI request? Chris, commenting on my last post, asked why FOI requests are treated as ‘Special’. Surely, he suggests, the way that the legislation was drafted, there shouldn’t be any distinction between the requests that we class as ‘FOI’ and other, more routine enquiries? Chris, you’ve opened a huge can of worms there. Thankfully, I’ve had some help from another FOI Officer – do take a look at their extensive answer in the comments to my last post. I’ll see if I can add some context here. You can see the problem. This definition encompasses pretty much any enquiry that anyone makes to a public body. Even those made by other public bodies. It covers enquiries that are already covered by other legislation. 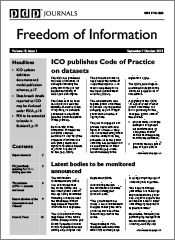 It covers things that the writer never intended in their wildest dreams to be classed as FOI. What most people responsible for implementing FOI were considering at the start was “how do we avoid unnecessary bureaucracy?”. We don’t want to make it harder for people to get information we already give out. We don’t have any more resources to deal with this legislation. And we really don’t want to annoy colleagues who have established and effective processes in place. So any enquiries that were already dealt with under existing procedures were left that way. Where authorities thought things through properly, they also made sure that targets for answering correspondence generally were brought into line with FOI (I know of at least one authority that thereby doubled its own targets for answering correspondence, so it wasn’t all bad news). it is for information that wouldn’t normally be disclosed. You would not believe the hours and days of my life that I have spent arguing with colleagues about whether a piece of correspondence should be classed as ‘FOI’ or not. Never mind the fact that unless they’re planning to withhold the information it really doesn’t matter as long as they answer within 20 working days. Or that if they are planning to withhold it, then it definitely should be dealt with under FOI procedures. It causes real angst to people. Why? 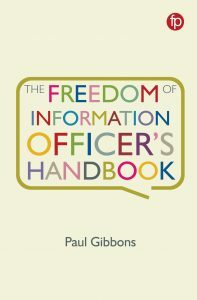 Generally because, rightly or wrongly, people perceive FOI procedures within their authority as more complicated than other processes. In many organisations, a response to a piece of correspondence marked as FOI has to be sent for formal approval. The same enquiry, if not marked FOI, could be answered the same day by the relevant team without such formal approval. So there’s a clamour not to mark requests as FOI if it can possibly be avoided. It’s an arbitrary distinction to a degree. It’s entirely possible that somebody could ask for an internal review of the response to their enquiry which wasn’t treated as FOI if they weren’t happy with it. It’s equally possible that the team concerned might disclose information that they shouldn’t do because checks weren’t carried out. I think, unfortunately, it also has a lot to do with how many people in public authorities still see FOI. It is, in their view, still an expensive and time consuming imposition. More bureaucracy. 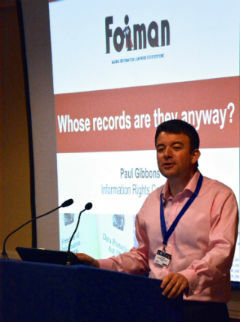 The truth is that the things that public employees hate the most about FOI are, for the most part, not even required by the legislation – just by their own political masters and senior managers.